"My experience as a participant in Dave Berger's BASE™﻿ trainings has been thoroughly enjoyable and illuminating. As a psychotherapist, I find my work even more focused and precise with the new understanding I have of the body. And, the practice in using attuned touch during the training practice sessions has deepened my resonance as I sit with people, whether I'm using actual touch or not. My interventions are more informed and I generally feel more competent and empowered in my work with people. I am very grateful for the opportunity to have had this training!" Dave Berger, LCMHC, PT, MA is a physical therapist and somatic psychotherapist, practicing in Concord, New Hampshire. Dave is also a consultant and teacher of Somatic Experiencing®, a neurobehavioral intervention for recovery from the effects of emotional and physical trauma. Dave’s own BASE™: Bodywork and Somatic Education Training for trauma therapists is an integration of his life’s clinical work. As a therapist, teacher, consultant and mentor, Dave’s passion and commitment to deep healing guide his work. An internationally recognized somatic psychotherapist, Dave brings his knowledge of anatomy, physiology and function of the body, and of psychological and relational dynamics to help clients improve their physical well being and psychological health. With over 34 years of clinical practice, Dave provides a unique blend of clinical care for people healing from traumatic injuries and accidents, anxiety, back and neck pain, post-traumatic stress disorder, headaches, panic attacks and chronic pain. He uses a diverse array of traditional and complementary healing practices, integrating his understanding of the relationship between an individual’s emotional challenges, their family system dynamics and cultural issues. In therapy, a client may expect to talk, use body awareness and relaxation, trauma renegotiation, hands-on (when appropriate) interventions, movement and exercise to help in their healing process. Family systems, psychodynamic psychotherapy, psychobiology and a number of other psychotherapeutic theories inform Dave’s work as a psychotherapist. Understanding the relationship between physiology, body usage and psychology and emotions Dave works along an integrative continuum in his clinical psychotherapy work. As a physical therapist, Dave is trained in a number of manual techniques including craniosacral therapy, visceral manipulation, myofascial release, joint mobilization and muscle energy technique. 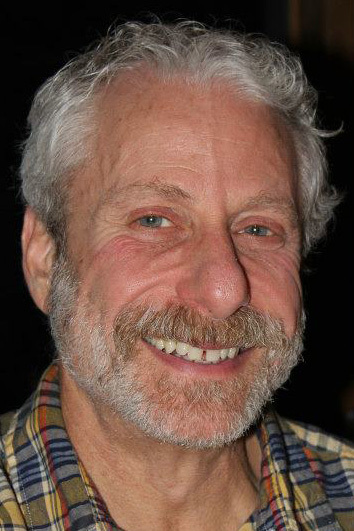 He uses exercise, movement education, relaxation, ergonomic education and physical therapy modalities, blending them with aspects of several somatics approaches such as Rosen Method, Feldenkrais, Alexander Technique and Authentic Movement. Dave’s BASE™ training (Bodywork And Somatic Education) for trauma therapists brings together his integrative healing arts work in the field of Somatics. This training is intended for body therapist and psychotherapists who want to further their understanding of how to help traumatized clients by using specific body structures effected by chronic distress as part of PTSD. His continuing dream is to provide education and opportunity for healing arts practitioners to learn to work along the continuum typically referred to as “body-mind” therapies, a dichotomy he considers misleading but popularly used. Dave received his bachelor’s degree in Somatopsychology from the University of Maryland and graduate degrees from Stanford University (Physical Therapy) and California Institute of Integral Studies (Psychology with a specialty in Somatic Psychology). He has been a professor in physical therapy and has been adjunct faculty at several colleges. Dave is on faculty with the Somatic Experiencing Trauma Institute. He consults with Somatic Experiencing® students and practitioners.